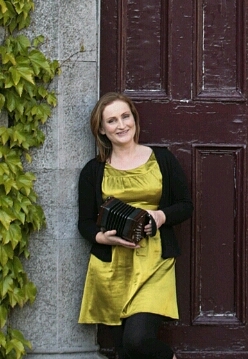 Claire Keville is a multi-instrumentalist, music teacher and Clare FM broadcaster from Galway. She studied music at U.C.C and read for a MA at U.L. concertina and harpsichord The Daisy Field in 2009 and a CD Irish Music on the Clavichord in 2015. The latter recording featured a number of her own compositions. She gives workshops at home and abroad and teaches each year at the Willie Clancy Summer School .